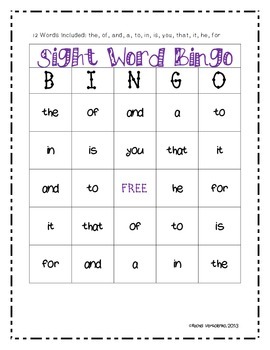 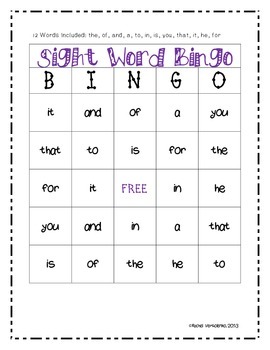 Sight Word Bingo FREEBIE! 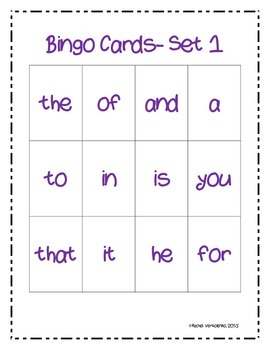 This is part of a Bingo game I made for small groups. 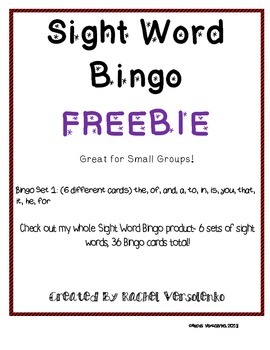 if you like this set, please check out the whole product.